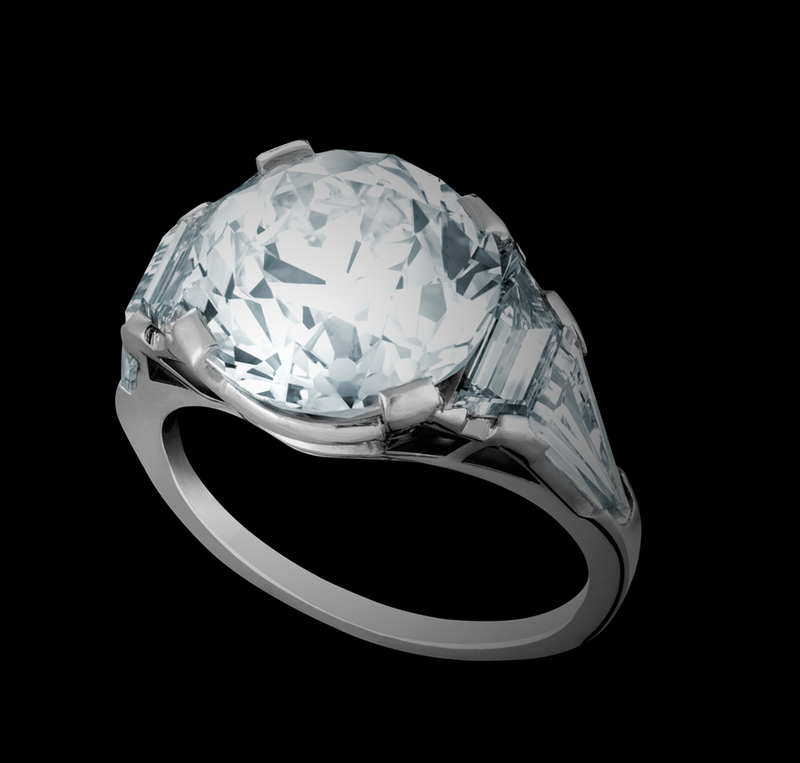 "Old-European Cut diamond ring from our 'Vintage' collection"
The birth of a gem is far more intricate than meets the eye. It is a lengthy process that takes months, even years, and contains an array of elaborate steps. Everyone involved must blend precision, expertise, and most importantly, passion, in order for a diamond to fulfill its potential and become the treasure it was born to be. Diamonds are formed at high temperature and pressure at depths of 140 to 190 kilometers in the Earth’s mantle and grow over the course of 1 billion to 3.3 billion years. In order to extract the diamond, miners must source either from the kimberlite pipes below the earth’s surface, or from alluvial deposits. 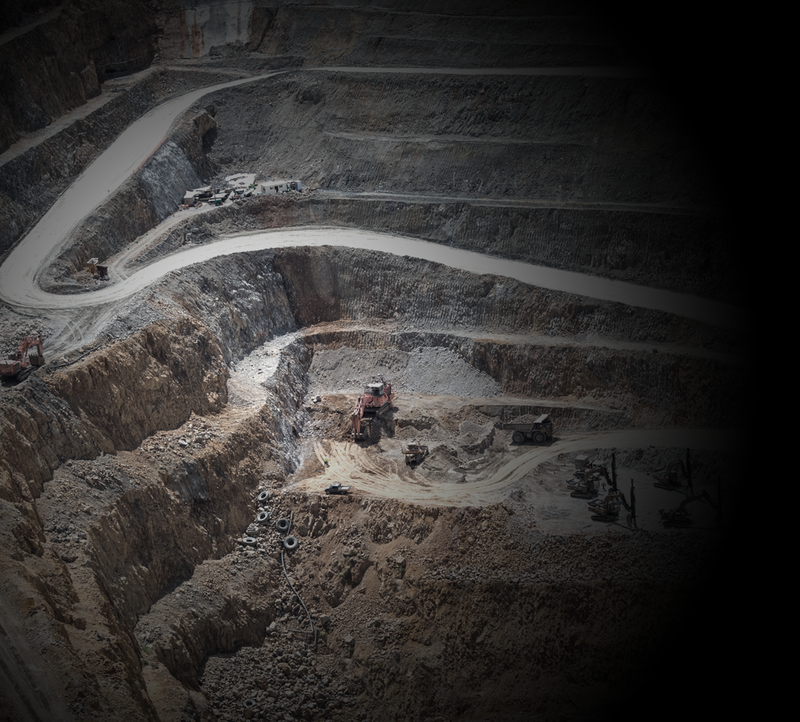 Miners than begin the arduous process of excavating the diamonds, which involves mining, crushing, separating, greasing and cutting. Gad & Co. Diamonds bear the company hallmark of transparency. We leverage our expertise with passion and innovation to source Miracles of Nature- the most exceptional and rare Diamonds and Gemstones on Earth. More importantly, we work tirelessly to ensure all stones are ethically sourced. 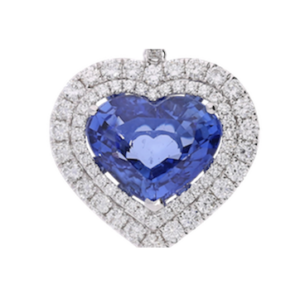 Cutting a diamond requires masterful deftness along with limitless imagination. After it is sourced, a “rough”, or unfinished, Diamond, is given to a professional diamond cutter who decides his course of action, be it the shape or how many polished diamonds the rough will yield. The diamond is then placed on what is called a “wheel” and can only be cut with Diamond Dust. 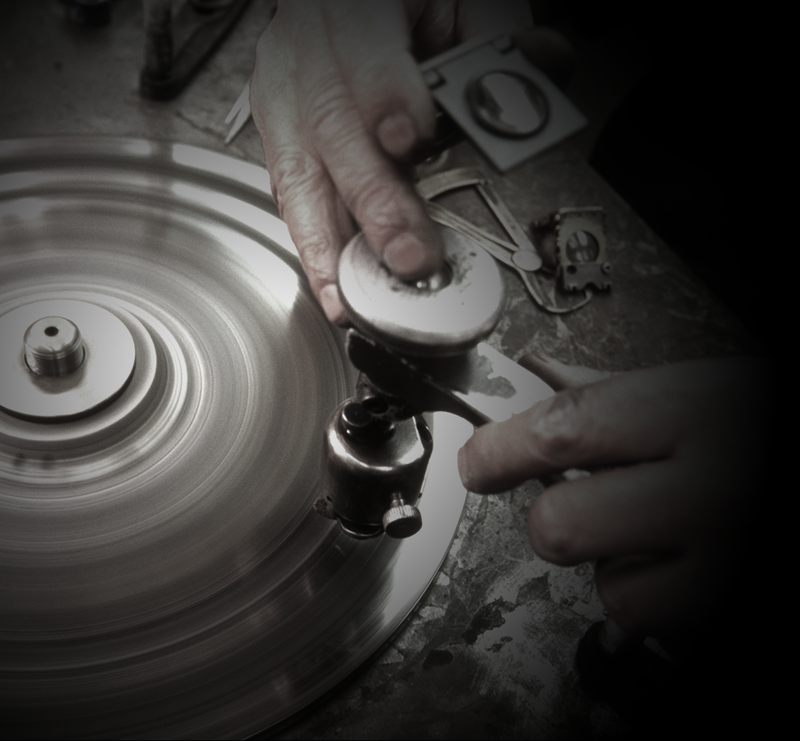 There are many risks assumed once the diamond goes on the wheel, as the stone can suffer slight-yet-irreparable damage or even crack completely, which is why cutters are so calculated and experience is paramount. Cutting is a true art form, and we at Gad and Co take great pride in having our own team of artisans, each equipped with profound knowledge and decades of experience, who cut with the impeccable precision needed in order to introduce the stone’s natural beauty. Diamonds are unique in the truest sense of the word. No two are exactly alike and each has a unique origin and story. Once the stone is polished, it is sent to one of many possible internationally renowned laboratories, where the stone is graded and subsequently certified. 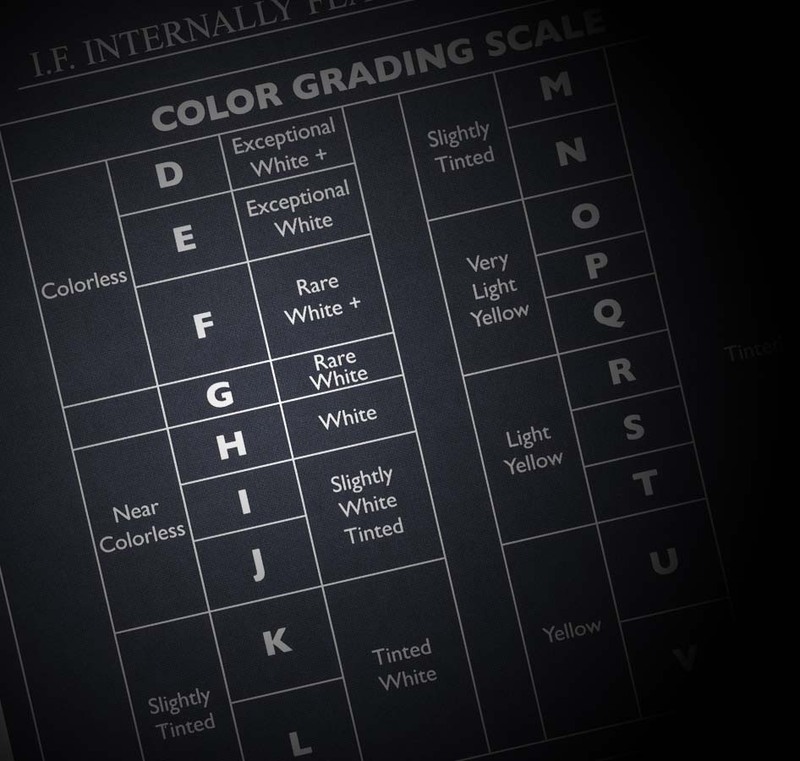 These laboratories analyze the dimensions and aesthetics and decide where the stone falls in each of the “4 C’s”, amongst other factors. Transparency is one of Gad & Co.’s company hallmarks. We work with the most prestigious diamond and gemstone laboratories in the world to certify that our clients know exactly what they are getting. We interpret the certificate and any additional remarks sent over by the laboratory and ensure the patron has access to the same knowledge that we do. After the stones are selected, its fate is decided. The stone becomes the center of a work of art- be it a necklace, ring, pendant, or another exquisite piece. Before the stone is set in its new home, however, it must be designed. Designs can be simple and preset or be innovative and imaginative. Design can sometimes take weeks or even months, as it sometimes takes as many as hundreds of distinct gems to create a masterpiece. 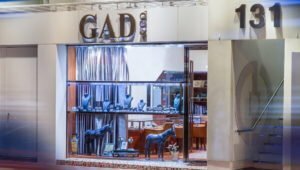 The Gad & Co. design team has decades of experience to pair with immense talent and imagination, thus all Gad & Co. treasures are designed in-house. 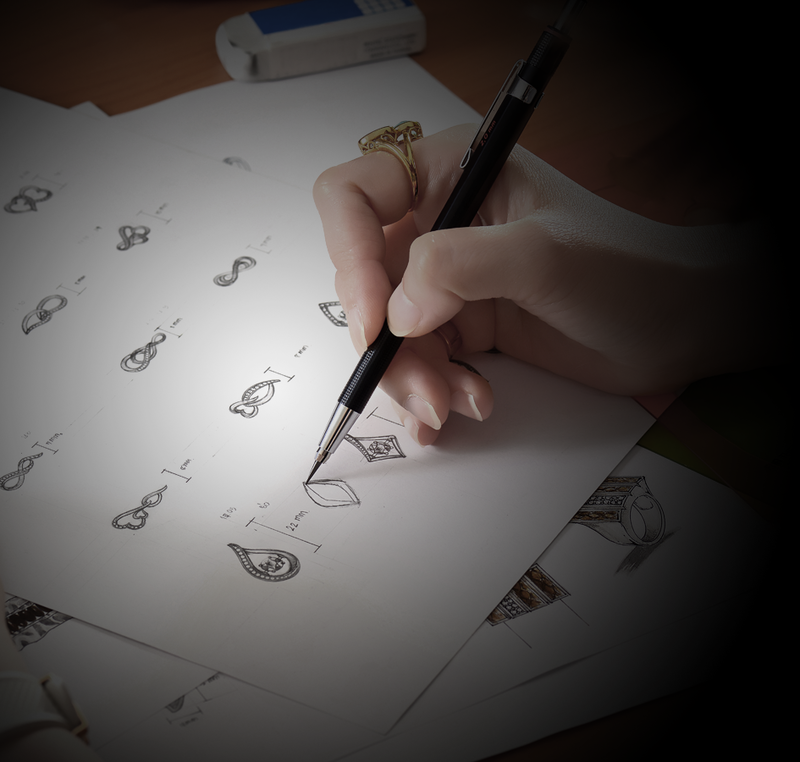 From modern and vintage style, to avant-garde, expressive, and unique signed jewels, our designs have vast range, all while maintaing the unique Gad & Co. style. After the design is created, we use state of the art CAD design software to ensure the precision of our models before production begins. Craftsmanship is a gift as old as the world itself. Since the inception of time, the pioneers of the world have been craftsmen who see vast potential where others see nothing. The final phase of jewellery making, crafting is when the design concept is brought to life, the stones are married with the setting and the treasure is complete. We at Gad and Co have our own in-house manufacturing facilities. 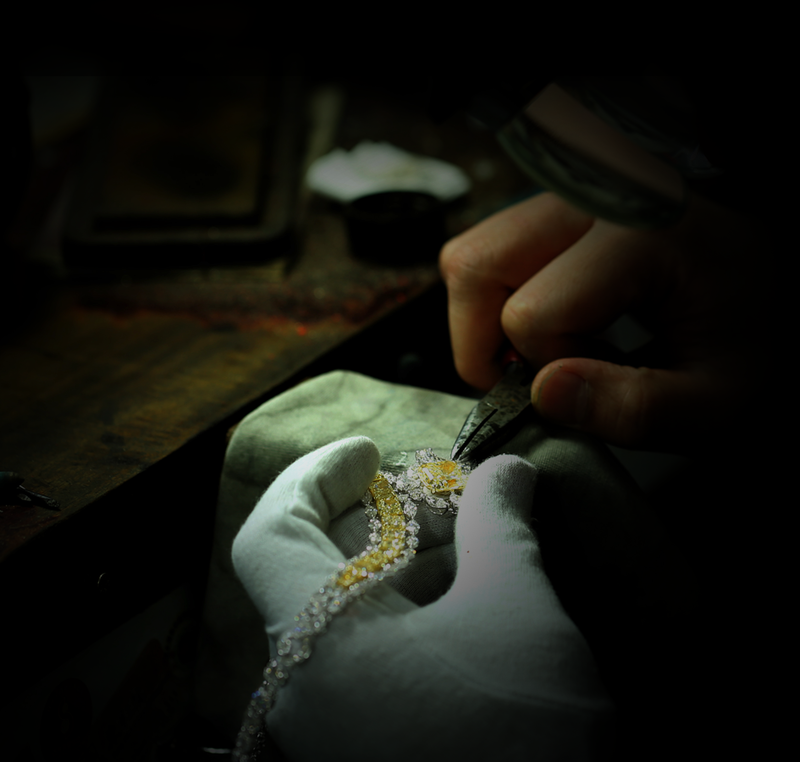 Our jewels are all meticulously handcrafted. Each jewel is a work of art and created with the intention of having each special and unparalleled stone exude its brilliance and fulfill its potential.